To the outside world, Polly and Tom seem to represent the normal married couple; successful, loving and happy. But behind closed doors, not all is what it seems. Polly's family and friends are constantly worried for her wellbeing and safety; claiming she has changed from the person she once was. 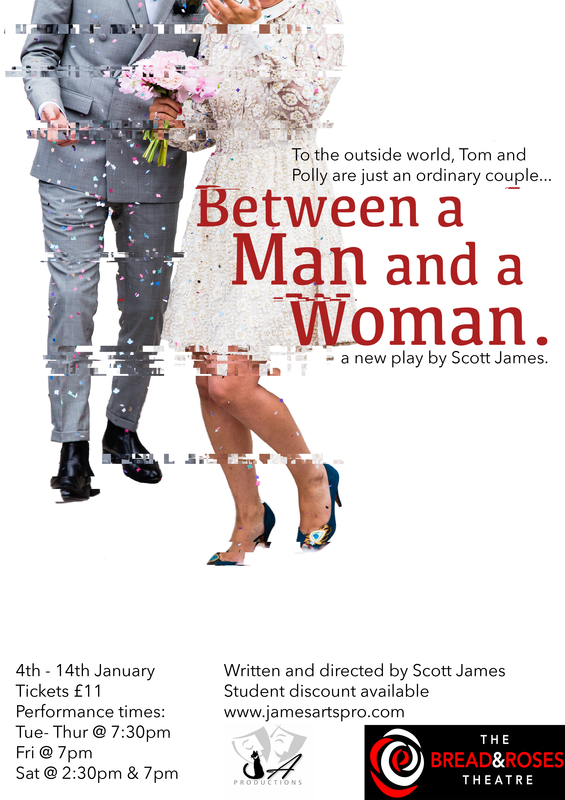 This new and harrowing drama focuses on the taboo subject of domestic violence and questions as to whether we can fully know what goes on behind closed doors and within the sanctity of marriage. With a stellar cast and crew soon to be announced, this new piece of writing promises to be a thought-provoking and unforgettable evening of theatre that brings the issue of violence within a relationship to the forefront. This production contains adult language, adult themes of a violent and sexual nature. Ticket purchases are non refundable. Concession prices apply to students; under 18s; pensioners; those on disability and unemployment benefits; Equity, BECTU & SDUK members; Portico Places cardholders. ​As a young venue we are still upgrading and developing the space, any additional donations are much appreciated and will be used towards improving the theatre even further and keeping the venue going in the long-term.